Del and Rodney are once again hunting for bargains. And after stopping off at Boycie’s car lot they spy a Mark II Cortina that’s being used as a part-exchange for a Vanden Plas. 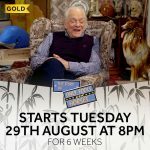 Del knocks the asking price down to £25, so long as he houses Boycie’s E type jag for a week – Del hopes to use the Jag to impress his bit on the side. Del ups the price tag of the Cortina to £199 and gets interest from an Australian buyer. And with cash in their pockets, a Jag to drive, and both of them single, Rodney talks Del into heading off for a night on the tiles. The Trotters’ night out doesn’t start too well, as they are chatted up by a pair of transvestites in a nightclub. But their luck changes in the form of Nicky and Michelle, who they manage to chat up and persuade them to write their telephone numbers on Del’s cigar pack, with the promise of a date next Friday. 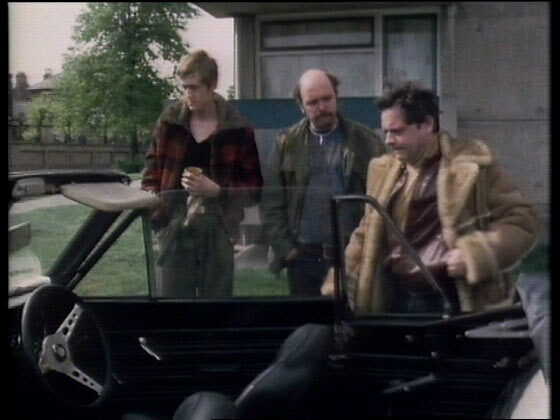 On their way home, Rodney accidentally throws the cigar pack out of the window of the Jag, and when Del makes an emergency stop, a car smashes into the back of Boycie’s pristine E-type. To top it off, the car responsible for writing-off the Jag is none other than the clapped out Cortina. In Go West Young Man When the waiter is taking down the Trotters drinks on his notepad, if you look carefully, he is only pretending to write. 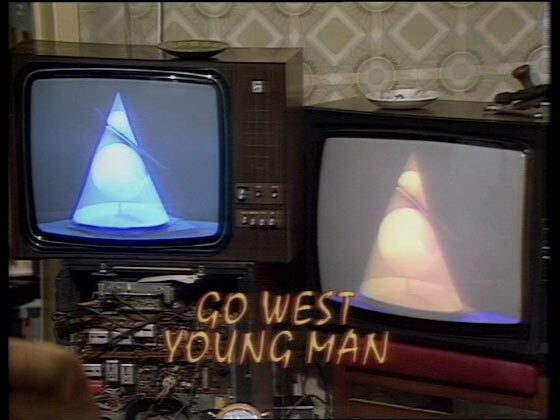 In Go West Young Man as commented on that the actor Nick Stringer played the Australian in ‘Go West Young Man’ and Jumbo Mills in ‘Whos Wants To Be a Millionaire’. Well Nick Stringer also played an undercover policeman in an episode of ‘Goodnight Sweetheart’ starring Nicholas Lyndhurst. In Go West Young Man during the opening scene, Del drinks his tea when he picks up the cup the spoon is still in and when he puts it down the spoon has gone. In Go West Young Man , comments on Rodney not throwing the cigar packet out of the window but if you look carefully he does. In Go West Young Man , at the end when driving back Del passes Rodney a packet of cigs, at no time do you see him throwing them away and yet in the same uncut scene he says he had thrown the packet away. In Go West Young Man , the Ossie Del sells the car to is actor Nick Stringer, who later in “Who wants to be a Millionaire” plays Dels old Ossie pal Jumbo Mills. In Go West Young Man , If you watch carefully when Del pays the waiter in the gay bar, the tenner he puts on the glass falls off and never gets noticed by anyone. In Go West Young Man In Go West Young Man, watch Del give the impression that the Jag has been hit slightly before it does get hit. This scene comes in between the scene when Del offers to look after Boycies Jag and the scene in which we see Del put it in the lock up. Del drives Boycies Jag down the road, he then spots an attractive blonde walking on the pavement, he pulls up a few yards in front of her and gets out of the car and makes out that he is checking it over as she approaches. DEL.Bloody car,(notices woman) oh please do excuse my French, ere you don’t know nothing about brand new E-type Jags do you? WOMAN.No im sorry I don’t, has it broken down? DEL.Yeah and ive only just bought it…….paid cash, never mind though cos i’ll phone my brother up and he’ll come down and pick me up in one of my other luxury motors. WOMAN.Do you live around here then? DEL.Well here there and everywhere really, Ive got a bit of property dotted about all over London. WOMAN.Oh you must be terribly rich. Del gets some notes out of his pocket and fans them. DEL.Mai Oui,Mai Oui,here I tell ya what, as it dinner time why don’t……. 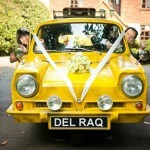 Del is interupted by the sound of banging and scraping as Rodney pulls up in the car Del bought off Boycie. RODNEY.Oi Del,you aint broken down in Boycies jag have ya. DEL. (Trying not to let the bird hear) Go away Rodney, Im busy. RODNEY. (Doesn’t hear him) I tell ya what get in and i’ll take ya back to Boycies showroom and you can drive the 3 wheeler back to the flat while he gets one of his boys to look his Jag over. 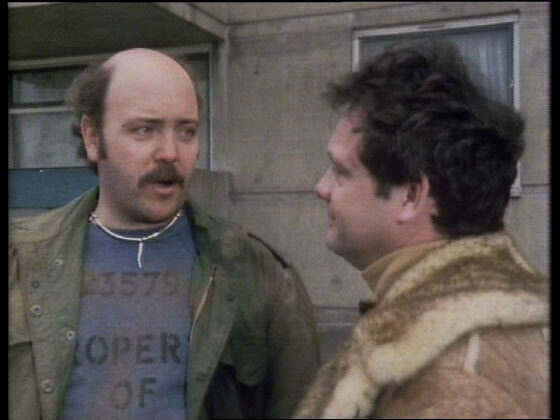 Del looks at the bird embarassed then approaches Rodney. DEL.Your a mouthy git,iv’e not broken down, Ive just pulled that posh sort and im now about to take it out for dinner. RODNEY.Looks like she lost her appetite Del. We now see that she has gone. Del goes to go round the drivers side to give Rod a whack but he speeds off. According to our forum, Joanne Good, the blonde cutie that they are chatting up in the bar is now onBBC Southern Counties Radio. Another Star from the show, was the Aussie man played by Nick Stringer. He later appeared in Coronation Street in the Rovers Return for a while. I can’t help but think he looks more like David Brent now. The Wikipedia page for this episode states a dvd running time of 30.44 and the iTunes 29.43. Now we know the iTunes early series are unedited whereas the dvd’s are edited so does anyone know why the time difference and if so what is missing from the iTunes version hence the 1 minute difference? I know what the missing minute relates to, the itunes version misses out a minutes conversation between Del & Grandad in the flat, when Grandad relates how when he was “doing it” with his wife, she asked him in the middle what he wanted for his dinner. Del says “what did you say” and Grandad says “Steak & Kidney pudding I think”, then says “Bad, innit”. 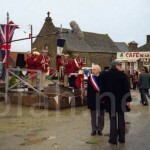 The DVD has this scene so can’t understand why itunes cut it – it was also cut on an old BBC broadcast I had, so maybe the BBC cut stuck on the itunes version. It is very annoying as it means the itunes collection isn’t completely uncut. I have also noticed a few small cuts on the Miami Twice itunes version compared to my DVD version. Could someone please help me? I have been googling all weekend trying to find a particular song from this episode! Looks like it was a mixtape type thing that was playing at the time. I know the song you are talking about. It’s not the enigma one as stated by someone else. I think it was called something like “in the forest” or “in the jungle” not sure if anybody can elaborate. Okay, this had been bugging me for ages, but is it Stacy Lattisaw’s “jump to the beat” you’re thinking of? Strange question, but who is the actor who plays the transvestite in the pink dress in the episode go west young man. I thought it looked like Kurt Russell, but I can’t find out anywhere!!! I’ve got a really strange question. 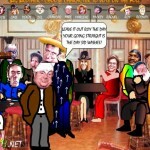 Who is the actor who plays the transvestite in pink at the bar in go west young man? I thought it looked like Kurt russell, but I can’t find out anywhere!! The blonde girl that they chat up in the club has a real Kate Moss look about her. I know it’s not her, obviously…she just looks a bit like her. It’s Joanne Good as stated above. Friends and I just had to order Carribean Stallions for ourselves. I have to say Delboy sure knows how to make a great cocktail!! !